Jeremy Neideck is a performance maker and emerging academic with a strong focus on transcultural practices and exploring the convergence of extreme physicality with extended vocal techniques. 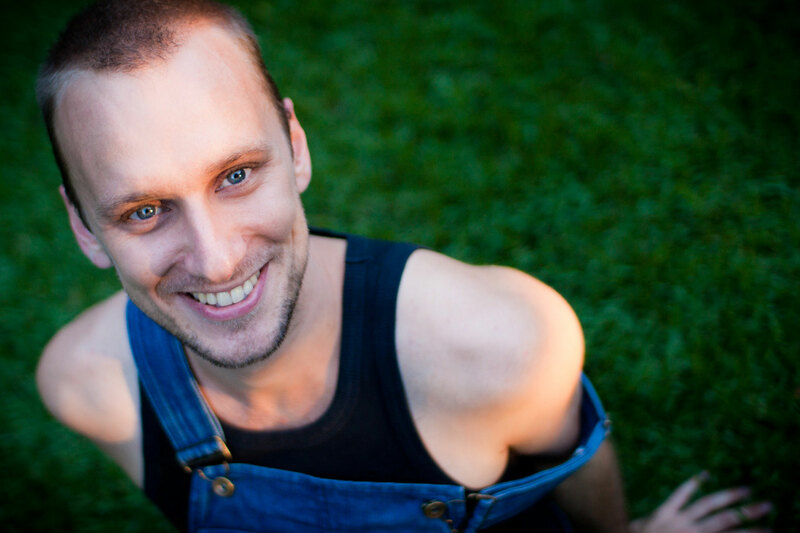 Since graduating from Queensland University of Technology he has trained in physical theatre and butoh with Yumiko Yoshioka, Zen Zen Zo, Dairakudakan, and Sankai Juku (Tokyo), Yumi Umiumare, Tess de Quincey, and Barney O’Hanlan (SITI, New York), and pansori (traditional Korean opera) with Oh Min Ah of the National Changgeuk Company of Korea. In 2008, Jeremy founded dance theatre company Red Moon Rising with Ellen Rijs and Polly Sara. Their debut work Sketches of Blood premiered at the Melbourne Fringe 2008 and was nominated for ‘Best Dance Work’ at Adelaide Fringe 2010. The Oak’s Bride, the company’s major work for 2010 was featured in Melbourne’s Next Wave Festival and was nominated for ‘Best Concept and Realisation of a Dance Work’ in the 2010 Green Room Awards. In 2009, Jeremy completed residencies with The National Theater of Korea and The National Art Studio (Seoul), supported by Aphids and the Australia-Korea Foundation. In 2010, Jeremy was a participant in the JUMP National Mentoring Program for Young and Emerging Artists, during which he was resident artist at the Seoul Art Space_Mullae in an exchange negotiated between REM Theatre and the Seoul Foundation for Arts and Culture (SFAC). Jeremy directed and co-wrote (with Nathan Stoneham) 지하 Underground, a work of transcultural music theatre for Motherboard Productions which premiered as part of the Metro Arts Independents 2011 and has featured in the 2012 Brisbane Festival, 2014 World Theatre Festival and had its Korean premiere underneath Seoul City Hall as part of the 2014 HiSeoul Festival. Jeremy’s work Deluge: 물의 기억 was first developed for Red Moon Rising as part of Metro Arts 2011 FreeRange, and combines butoh with pansori, shamanic performance and live music in a contemporary Australian context. It had its main stage debut for Motherboard Productions in the Brisbane Powerhouse Theatre as part of Brisbane Festival 2014. It has gone on to tour South Korea, with its premiere as part of Seoul International Dance Festival (SiDance), and most recent incarnation at Namsan Arts Center as a memorial for those that lost their lives in the sinking of the Sewol ferry. In 2013 Jeremy was an Asialink Resident at The National Changgeuk Company of Korea where he furthered his study of pansori, and was also a recipient of the Brisbane City Council Lord Mayor’s Fellowship for Young and Emerging Artists which has allowed him to participate in the TransCultural Exchange Conference in Boston before undertaking a series of professional development and training opportunities in New York. Jeremy also travelled to Singapore, interning with The Necessary Stage – world leaders in the development of multilingual theatre. These activities are framed by an ongoing mentorship with Queensland Theatre Company’s Artistic Director Wesley Enoch, laying the groundwork for developing Animals! a new work of performance with artists from Korea, Brisbane, and the Torres Strait. Jeremy’s most recent work is 심청 <Shimchong>: Daughter Overboard!, an adaptation of Oh Tae Suk’s reimagining of the traditional Korean tale of Shimchong that combined pansori, poetry, and political satire in a work of physical theatre that premiered at WTF 2016.